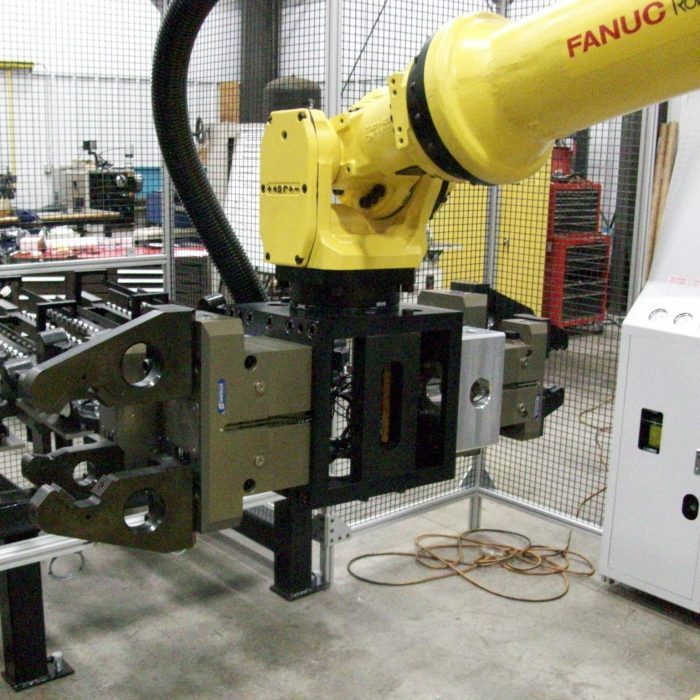 We are an authorized full service integrator for FANUC robotics and automation in Louisville, Kentucky and Greenwood, Indiana. 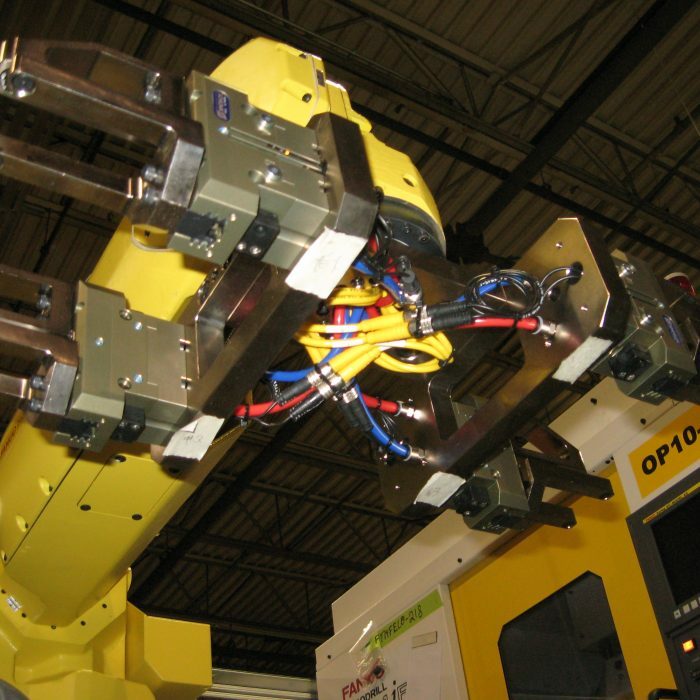 Meredith Machinery Robotics and Automation teams can provide engineering assistance or a complete system. 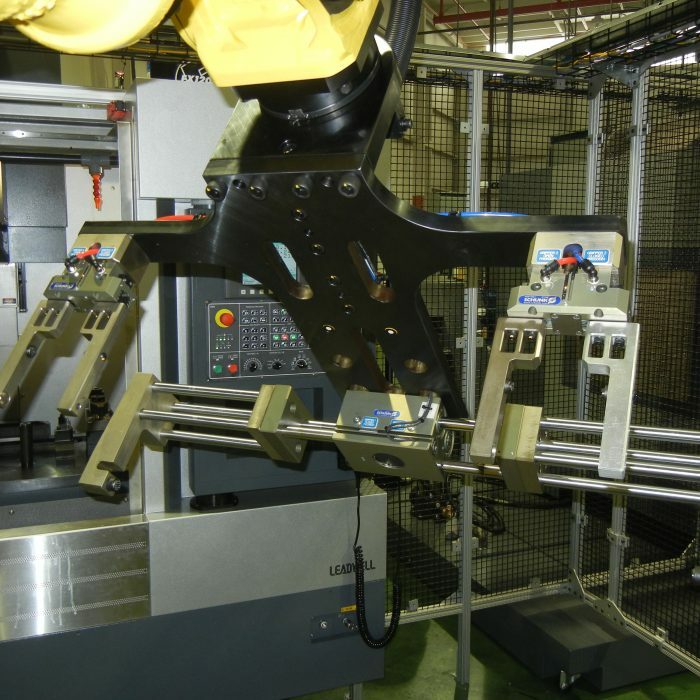 We have extensive experience with providing machining cells and support equipment for the automotive production environment. 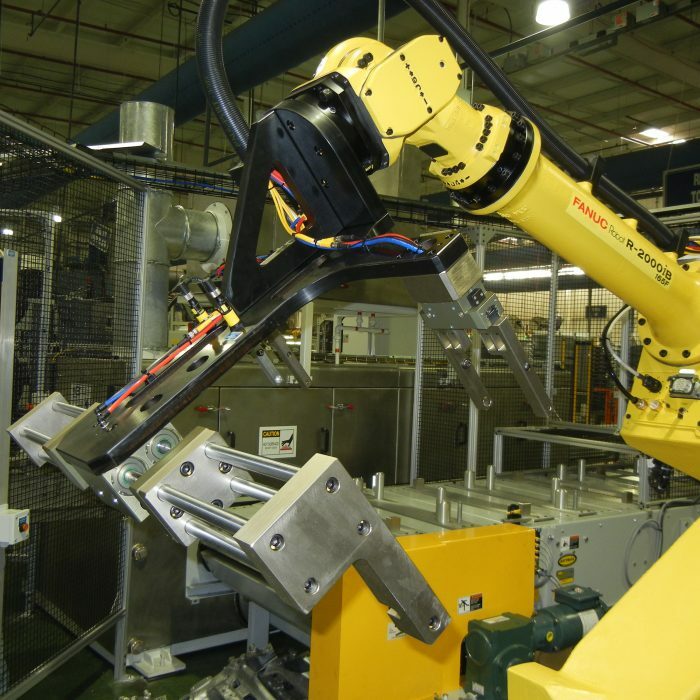 We understand the requirement to maintain continuous production. 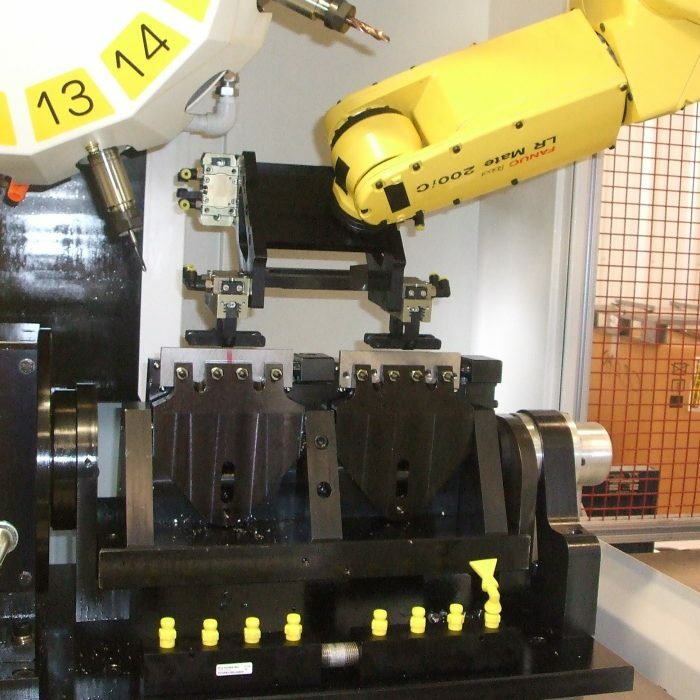 Our particular area of experience handling aluminum die castings, we can provide systems for defect checking, leak assistance, assembly and machining. One of our greatest strengths is our ability to properly document electrical and software changes effectively. 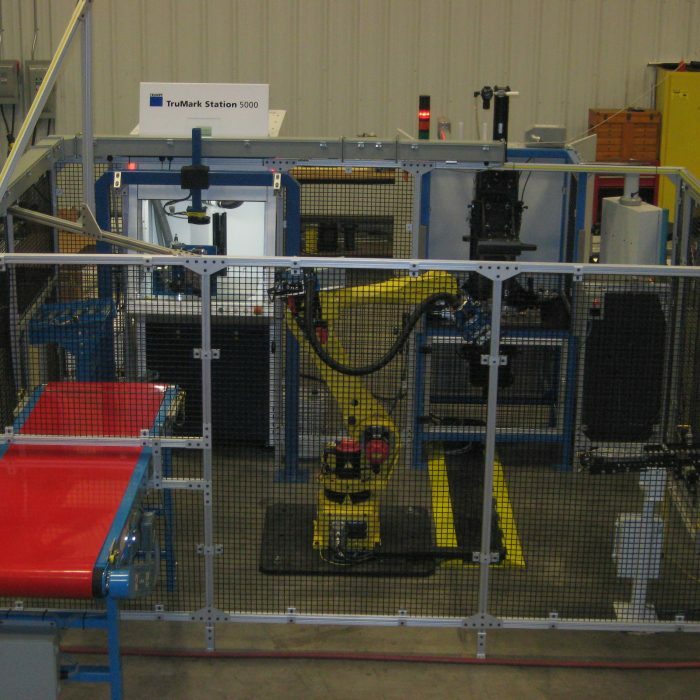 This allows our customers to support our equipment effectively. 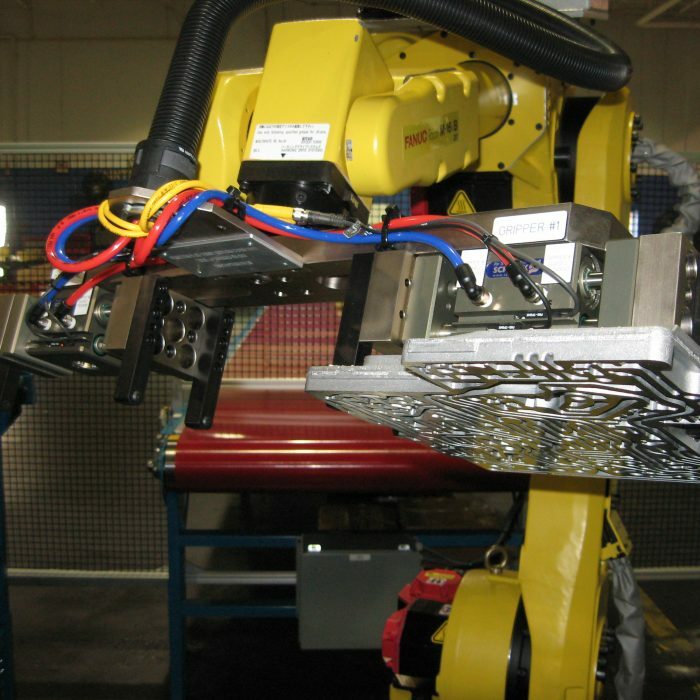 Our many years of servicing both the Asian and American automotive companies gives us great depth of experience and expertise to provide extensively high quality systems.